This bold cocktail is a nod to the Mason & Rook hotel, where Radiator is located. In a mixing glass, combine the bourbon, Cynar and bitters with ice. Stir until chilled. 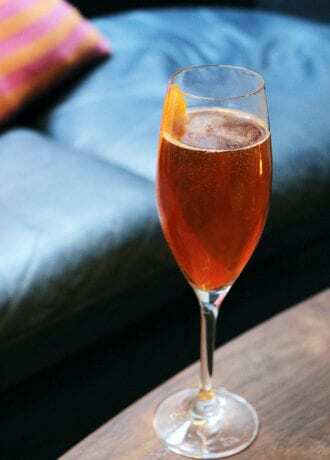 Strain into a chilled flute, top with processo. Twist a large orange peel over the drink and use as a garnish. Sarah Rosner, Radiator, Washington, D.C.